In an unprecedented show of solidarity, North and South Korea have recently agreed to a proposition that would have athletes from both countries marching together under one flag at the 2018 Winter Olympics. For much of the world, the decision comes as a breath of relief following the antagonistic back-and-forth between North Korean dictator Kim Jong Un and President Trump that dominated the past year. Yet for many White House officials, the agreement is merely a ploy in an attempt to reach what they consider to be North Korea’s true goal – removing American presence from the Korean peninsula and unifying North and South Korea on its own terms. With this agreement coming in the aftermath of a year dogged by North Korean missile tests and threats against the United States, it becomes highly necessary for both the U.S. and South Korea to see for themselves North Korea’s true purpose in joining its southern neighbor at the Olympics and what it will take for them to accept any future agreements revolving around diplomacy between the three countries. If the decision is indeed genuine, then it could mean a big step forward towards the attainment of peace with North Korea. If it is not, then that means that North Korea may, in the end, not truly want peace as Kim Jong Un so claims – or at least, not in the way we think. The first step in dealing with this issue is to examine North Korea’s own claims on the matter. Pyeongyang has declared time and time again its support for reunification with South Korea – but only if the United States withdraws all military presence from the region and the UN lift all sanctions on the country itself. Essentially, North Korea wants to become its own, independent state, with the ruling Kim dynasty being able to keep its stranglehold on power and the country developing as a nuclear power, untouched by any country. The desire for a merger with South Korea, while practical in some respects, may come also from a basic sense of nationalism that touches both countries – an out of a group of 100 North Korean citizens allowed to work and visit relatives in China, 91% supported reunification, compared with about 80% of South Korean citizens. While it is unclear how much of that nationalistic spirit touches Kim Jong Un, the economic benefits of reunification with South Korea may perhaps be a motivator in and of itself – with the North Korean economy nearly 20 times smaller than that of South Korea, a merger with the world’s 11th largest economy would bring an immense boost to a country that has been subjected to countless sanctions. Of course, reunification is only possible if Kim Jong Un himself agrees to such a proposition – and since any such proposition would almost certainly result in denuclearization of North Korea, an increase in U.S. military presence, and a possible ouster of Kim from power, it is unlikely, barring an unforeseen decision from President Trump, that the two sides will come to an agreement any time soon. This inability to agree on a comprehensive plan for reunification leads us back to North Korea’s decision to march with South Korea at the Olympics – and the country’s true intentions. It is clear that North Korea, contrary to popular belief, wants peace. Attacking either one of South Korea or the United States would result in the destruction of the country and its lofty ambitions. The nuclear weapons it hoards are not so much for the purposes of attacking another country so much as acting as a deterrent to any country that would seek to invade it and remove Kim from power – namely, the United States. That Trump is continuing to threaten to invade North Korea does nothing to quell these fears – rather, they only reinforce the country’s resolve to defend themselves. Had North Korea not developed nuclear weapons, the Korean Peninsula may very well have been reunified by now on the U.S.’s terms; and yet, because of that nuclear deterrent, Kim and his stranglehold on power remain safe. Of course, all of this information may lead to support of “decapitation units” designed to take out the Kim regime once and for all. The reasoning, at first glance, is logically sound: the Kim dynasty is the reason for the North Korean threat, thus, Kim Jong Un should be taken out. Except, of course, for the fact that support for North Korean ideas goes far beyond one ruler or even one regime. To remove any hope of support for Kim’s ambitions, one would need to practically take out the entire government – and even then, the possibility of insurgents among the North Korean populace is high. A true plan for solving the North Korean crisis would be much more complicated than that, and center around the attainment of peace, not war, which this tactic would almost certainly create. So when North Korea announces its aims to march with South Korea under one flag – a blue flag emblazoned with the Korean peninsula to represent unification? Know that the country does actually want peace and unification with South Korea – just not on the U.S.’s terms. North Korea wants to become a major power – economically powerful, untouched by the U.S., and armed with nuclear missiles. All of this can be attained through its twin goals – reunification, or at least peace, with South Korea; and a deal with the United States that would result in a withdrawal of U.S. presence from North Korea and leave them with nuclear capability. Perhaps one day the U.S. can come to a form of agreement revolving around North Korea’s demands. For now, though? 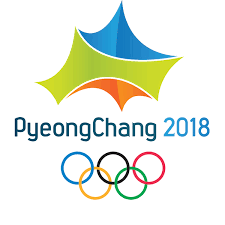 Just be assured in the fact that North Korea will never nuke the U.S., that it wants peace – on its own terms – and at least for now, will be content sending a message of goodwill at the 2018 Winter Olympics.